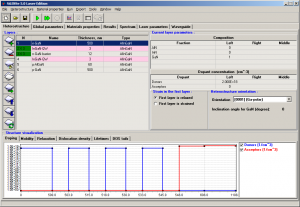 The software tool SiLENSe is offered for simulation of band diagrams and spectra of light emitting and laser diodes (LEDs and LDs) based on Group-III nitrides and other wurtzite materials as well as hybrid structures. Carrier transport model implemented in the software allows simulation of polar, semipolar, and nonpolar structures and accounts for specific features of nitride heterostructures including polarization effects, high density of threading dislocations and Auger recombination. 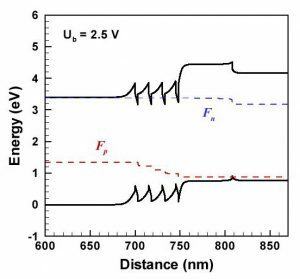 The last one is responsible for the droop of internal quantum efficiency observed in nitride LEDs at moderate and high current densities. 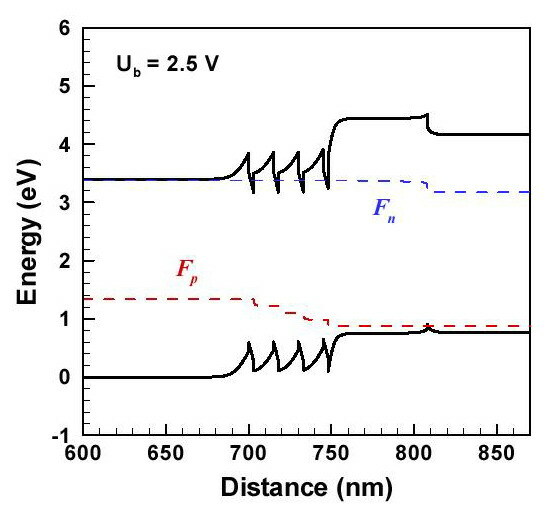 SiLENSe provides distribution of critical parameters over the LED heterostructure, including partial (electron and hole) currents, electric field and potential, rate of carrier recombination, and carrier concentrations. The program is capable of calculations for graded-composition heterostructures. The above information forms a good basis for the LED structure optimization and for development of new light emitting devices. 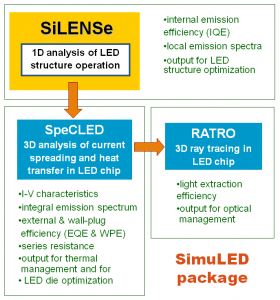 The SiLENSe package includes a special module for easy specification of materials properties. The default database contains properties of AlInGaN and ZnMgO alloys. The user can edit this database and even add new materials. 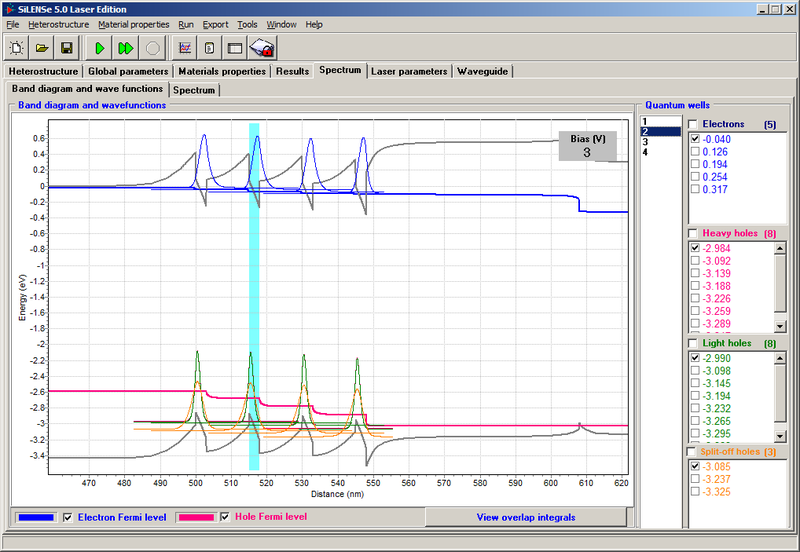 Recently, the software was successfully applied to analysis of 808 nm AlInGaAs laser. Some of these example are accompanied by project files that allow license holders to reproduce the computations. 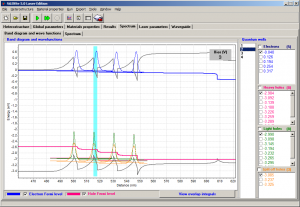 The SiLENSe software has a friendly graphical user interface (GUI) designed to minimize user efforts needed to start simulations. Interactive visualization of the calculation results provides an excellent representation of the LED operation. The results can also be stored in a number of output files allowing a post-processing analysis using either commercial Tecplot graphical package (Tecplot, Inc.) or other software operating with plain-text data files. Figure 2. 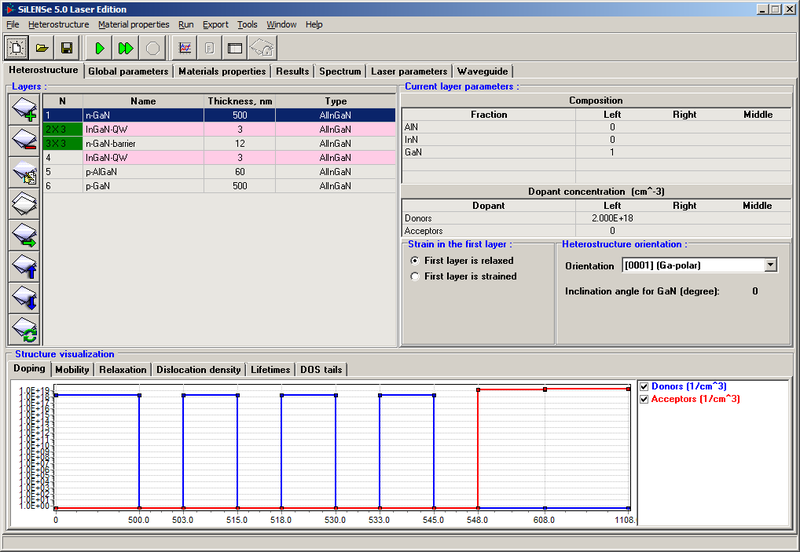 Layer-by-layer LED structure specification and input data visalization. Figure 3. Band diagram and carrier wave functions. phys. stat. solidi (c) 6, No. S2, S804-S806 (2009). phys. stat. sol. (c) 2, 2928-2931 (2005). J. Appl. Phys. 104, 093107 (2008). phys. stat. solidi (a) 204, No. 1, 241–245 (2007). Appl. Phys. Lett 87, No. 24, 243502 (2005). Semcond. Sci. Technol. 22, No 5, 502-510 (2007).